Last weekend, we welcomed six students to our Box Making course. Over just two days, our students made this solid wood box in a variation of timbers as chosen by each individual student. Each student learnt how to select, set up and sharpen hand tools such as chisels and planes, learnt how to use marking out tools to accurately measure and mark out timber while working to a drawing, hand tool techniques, routing, assembly and glue up - and finishing! It was a very productive and fun weekend, and some excellent box projects were made. A few of the students enjoyed the course so much they are coming back for our weekend veneering course on the 10th and 11th November. We look forward to welcoming them back! 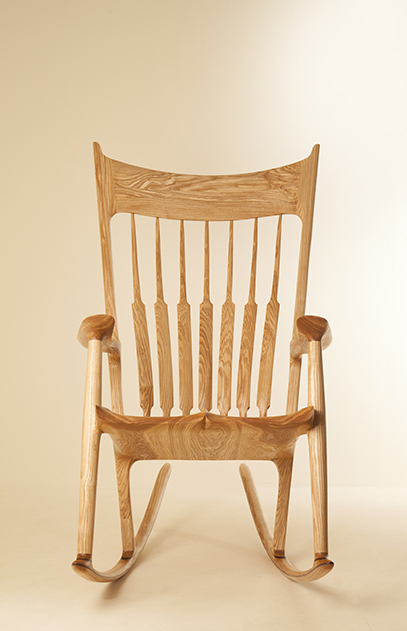 A Homage to Sam Maloof, Henry's Olive Ash Rocking Chair. Some students come to course wanting to make furniture only of their own design. While other students are happy to make furniture inspired by other makers for what it will teach them in terms of process and technique. Some students choose to do both. Student, Henry Baltesz chose to make a Sam Maloof inspired rocking chair as his final project on our full time furniture designer maker course. As you can see from the images of Henry's chair above, the result was absolutely spectacular. This style of rocking chair is one of the most popular styles that Sam Maloof made and Maloof’s rocking chairs were highly esteemed by two presidents – Reagan and Carter. Maloof made his rocking chairs most often in walnut, but here, Henry has made it in a beautiful Olive Ash with some Walnut detail on the rails. While making the chair, Henry's project also inspired our American student (Maurice) to visit Sam Maloof’s house while he was back in the States. You can see more of Sam Maloof’s incredible house here http://www.malooffoundation.org/visit. Sam’s home was hand built by Sam and his assistants over 40 years. It is an exceptional finely crafted wooden house, with hand crafted details right down to the door latches and hinges. The house is situated in Alta Loma, California. Getting back to Maloof inspired rocking chairs…. We do encourage our students to have a go at making a chair, as chairs are one of the more challenging items for aspiring furniture makers to produce. A Sam Maloof inspired rocking chair is quite high on the spectrum of challenging chairs to make, and as such, I think Henry felt this was a good project in terms of the amount that he learnt from it. It was also a project that allowed quite a lot of freedom in terms of the shaping, much of which Henry shaped by eye. It’s a very successful final project, and importantly, we’ve all tried the chair for comfort! We are tough critics, but we can safely say it’s one of the comfiest chairs we’ve ever sat in. We are just sad that we can’t keep it for ourselves! Why not head over to our Instagram page to see more images and footage of Henry making the Sam Maloof inspired rocker? A piece that is arguably described by some woodworking publications - as the ultimate project - on account of the advanced cabinetmaking skills that can be involved in the making process. Also known as the longcase clock, or tall pendulum clock, the name ‘Grandfather clock’ was adopted after the well-known song ‘Grandfather’s Clock’ written in 1876 by Henry Clay Work. Fitting to the namesake of the song’s writer, our student Henry, happens to be in the early stages of planning his very own design/make of a Grandfather clock. Henry has been inspired to make this piece by his own grandfather’s love of the longcase clock and the numerous clocks that adorn his grandparents’ house.The clock case design is an excellent study for Henry, because it calls for two very different functions. The first is practical – how to enclose the clock, protecting the movement from dust and displaying the dial. The second is the aesthetic function; how the case design and timber will reflect the owner’s tastes and interests - and the impression that it will create in a room. Over the course of centuries, the practical and functional role of clocks has been masked by design and embellishment. In the nineteenth and early 20th century most clocks were made to convey an impression, usually of opulence, to make a statement about the owner. The lavish designs and exotic timber of some clocks made them more of an ornament, than a timepiece. From a practical cabinetmaking perspective, the grandfather clock will present many interesting making challenges for Henry, including mouldings, veneering and jointing. Moreover, Henry’s grandfather clock project is a great example of the freedom our students have on our bespoke and full time courses - to choose and drive forward their own ideas, projects and designs. If there is something you want to make, we will get you there in terms of both practical and theoretical assistance. From planning through to completion, our teaching team are there to support, advise you and demonstrate the techniques you need realise your designs - while all the time broadening your skill set. If you too are passionate about a beautiful piece that you’d like to make and feel that one of our courses may be for you, then please feel free to call us for an informal chat on 01984 667555 or e.mail us on enquiries@williamsandcleal.co.uk. On Friday 22nd September, Jane Cleal took four students to London to visit the 100% Design exhibition and TENT. Trips like these are optional at the school, but Jane Cleal is a real advocate of our students attending design events and exhibitions because they improve awareness of production manufacturing techniques, keep students aware of the current trends in design and interiors, offer good design inspiration and are a good insight into how industry presents itself in terms of stalls, branding etc. It’s also a jolly day out from the workshop! Our students really enjoyed both exhibitions and got very different things out of both 100% Design and TENT. From 100% design, many of the students found inspiration in the pieces that they saw – but also found it very beneficial for making links with suppliers. Tim was interested to discover veneer suppliers and leather manufacturers that were in the locality of where he lives – and he was able to talk to them about new production processes and advances in leather printing that he was unaware of before his visit. All of our students found TENT really interesting, with some preferring it over 100% Design for the reason that you can meet smaller makers and have a better conversation with them about their design and making process. Our students commented that TENT felt like a better place to network, and that in being able to talk with the smaller makers, there were useful discoveries to be made such as new and interesting materials being used in design - and how to work with different materials. As such our students came back with ideas incorporating new materials they had not been aware of before their visit. It also shows just how important it is to take time out of the workshop to connect with other makers and experience where the industry is - and where it’s going. For more information about other trips that we offer our full time students, feel free to give the office a call on 01984 667555. Five new students gave up a week of August sunshine (....well sunny spells amoungst cloud!) 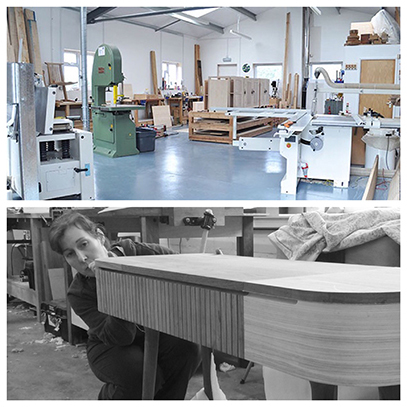 to come and try their hand at cabinetmaking on our One Week Introduction to Fine Furniture Making course. Helen, Tom, Dan, John and Allen came to the course as beginners or with a few basic skills, and after completing the week with us saw their skills and knowledge advanced considerably. By the end of the week, they were all turning out dovetails with the same precision, accuracy and beauty as our full time furniture students. The course fired their enthusiasm for furniture making, so much so, that they are tempted to rejoin us for future bespoke courses! In fact - we welcome Allen back for a two month course in October! Year on year, we evaluate and refine both our long, short and bespoke courses to ensure that our students are getting the very finest experience and tutoring in making high quality bespoke fine furniture. This year, we've decided to have a change to our set project. 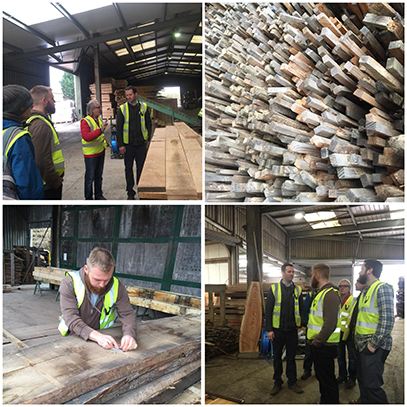 We considered a range of small projects very carefully for the opportunities that they would provide to the students in terms of knowledge, hand and measuring skills, understanding of basic joints, understanding basic workshop drawings and choosing/working with different timbers. After careful deliberation, we settled on making a pair of bookends - which as well as being incredibly useful - provide a wide scope of learning experience in the making process. Your beautifully dovetailed bookends can also be displayed as pride of place in your home and your work admired by all those who visit you. Last week the annual Celebration of Craftsmanship and Design took place at the Thirlestaine Long Gallery at Cheltenham College in Gloucester. CCD is the largest exhibition of contemporary desigher-maker furniture in the UK and it draws visitors and exhibitors from around the world. The exhibition showcases the work of the very best makers and emerging talent in the world of furniture design and making. It is a really important calendar event for our students - and we strongly encourage our students to not only submit their work for entry into the Alan Peters Award for Excellence (which gives three new designer-makers the opportunity to win free exhibition space for their entry at the Celebration of Craftsmanship and Design) but also to visit the Celebration of Craftsmanship and immerse themselves in the design styles and work exhibited there. Our current students attended the show's VIP opening evening, and met with several past Williams and Cleal students - all now successfully running their own bespoke furniture companies and exhibiting their work at the Celebration of Craftsmanship and Design. 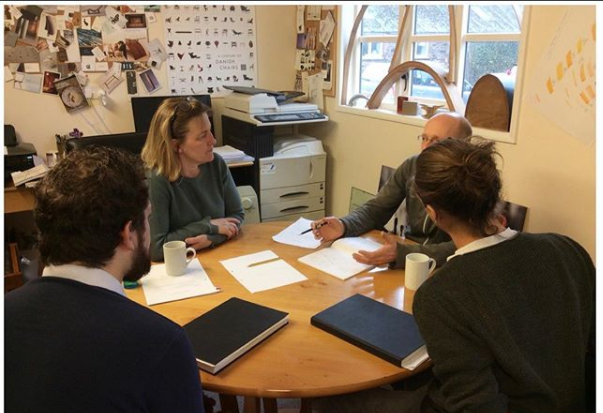 It was great to see past students Damain Robinson from BlytheHart Made, Maria and Charlie from Byron and Gomez, Irene Banham from Irene Banham Furniture and Thomas from Thomas Whittingham Furniture all recieving great interest in their work. Congratulations to our student Finn James, one of the winners of this year's Alan Peters Award for Excellence who won the opportunity to exhibit his 'Brompton' coffee table at this years show. In furniture design, the advent of CNC machines and digital printers have enabled designers to reinterpret the expectations of the medium. We can now combine traditional craft skills with complex contemporary twists made possible with elements that have been digitally manufactured. There are some effects that are difficult to achieve solely with hand tools, and equally there are hand techniques that are not efficiently replicated well by CNC or digital printing – but the crossover of the two can push the boundaries of furniture design to make something truly unique and beautiful. At Williams and Cleal, we have an expanding student library of design and furniture making books – which students are free to borrow at any time. The book that has the students talking this month is ‘Digitally Handmade’ by Lucy Johnston. The topic is particularly apt, since our student Jan is experimenting with digital printing to add a unique level of detail to the handles on her latest design, which would otherwise be exceptionally difficult to make by hand. Jan comes from a background in Computer Graphic Imaging Design and Imaging, and has just invested in her own Prusa i3 M25 – kit build 3D printer. Jan has designed some drawer handles that take the shape of a small mountain range complete with contoured hills, tiny pine trees and a mountainside cabin – a scene in miniature that would be virtually impossible to create by hand. 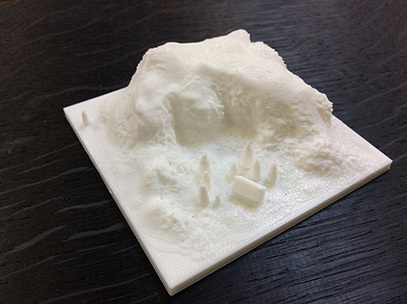 Jan has so far experimented with prototypes made in PLA - (PLA) or polylactic acid. It is a bio-degradable thermoplastic polyester derived from corn starch, sugarcane or cassava root. Jan is yet to decide what the final handles will be printed in. It takes about 4 hours for Jan's printer to create the handle prototypes. Jan builds the designs herself in software compatible for the 3D printer. The crossover of digital manufacturing methods and furniture design is part of our design theory sessions here at Williams and Cleal. Jane Cleal has incorporated digital production methods into her own work and shares her experiences of these processes with our students. Jane’s most recent ‘Circle’ bowl coffee table, used CNC production methods to manufacture the stack laminated birch ply of the bowl and complimented by a lid made in Macassar Ebony Veneer. Many of our students also pick out Jane’s CNC cut bowl as a favourite from the W & C gallery. Our tutors encourage and will help to nurture the designs of students who choose to explore mixing traditional craftsmanship with digital manufacture. We will also connect you with companies to whom Williams and Cleal outsource CNC or digital manufacture work. This way, the size and complexity of the equipment and skills that we have access to, is infinitely surperior to the machines we could accomodate at our own workshop. If you’d like to see more of the possibilities in furniture making enhanced by digital manufacturing methods, we suggest looking at the ‘Cinderella Table’ or the ‘Lectori Salutem’ by Jeroen Verhoevenm the ‘Three Drawer George’ by Gareth Neal or the ‘Fractal Table’ by Werteloberfell – or indeed many of the other artists covered both in Digitally Handmade and across the internet. We’ll be posting more about our student Jan’s journey with her digitally printed handles in upcoming posts. On a Thursday, we normally have ‘Hand Tool Thursday’s’ where our tutor Jim likes to showcase various items from his collection of accumulated and inherited hand tools. However, this Thursday was all about demonstrating different wood bending techniques to the students. First up was Kerfing. Kerf can be defined as the width of the wood that is removed by the cutting process. Kerfing is the process of cutting a series of kerfs (cuts) along the side of a piece of wood in close proximity, in order to allow the wood to be pliable enough to follow a curve. When cutting kerfs, the wood needs to be cut deep enough to the edge of the wood that the remaining fibres are free to bend. To cut too deeply will result in the wood breaking in two, or making cuts that are not deep enough will result in the wood snapping. It’s best to experiment, but you’ll most likely find that an uncut width of 1/8 in. or thereabouts works for most woods. Your kerf spacing will affect both the maximum radius that you can bend, and how smooth your curve will look – the closer the kerfs are together, the tighter the radius you can bend. You can only kerf by crosscutting as to do so with the grain increases the likelihood of the piece splitting. For the demonstration, Jim cut kerfs that loosely demonstrated the effect. In practice, you would normally use a formula to calculate the exact distance between your kerfs, to achieve the smoothness of the curve you require. Many kerf bending formulas are available online. While kerfing is an easy and useful technique for bending wood, it is suited to applications where a curve is aesthetic rather than structural, as kerfing does not create a form with great strength. The magic of kerfing never wanes and all the students (and office staff) were keen to have a play. Next up…. was free form laminating. Jim demonstrated a range of different free-form laminating methods using constructional veneer. Take a look at our Instagram feed to see the laminationsglued and clamped into shape, and vacuum pressed. Constructional veneer comes in a variety of timbers and it is thin and pliable enough to bend. You can simply spread glue on their surfaces and clamp them in layers to the shape that you desire and leave in place for the glue to set. In Jim’s demonstration, the lamination was clamped and wrapped with a ribbon of old tyre inner tube to keep the layers tight together until the glue had set. It is the hardened glue between each layer of veneer that holds the shape of the twist or curve. The multiple glue lines between each layer make the assembly strong, stable and rigid. As a variation on this method, Jim demonstrated the same concept, but using a vacuum press to hold the shape of the glued layers. The constructional veneer was glued, shaped and then pre-wrapped tight with release film to prevent the breather fabric getting sucked between the laminations, or sticking to the laminate while it is being compressed. As the air is being evacuated, the bag is smoothed out over the assembly to make sure there are no significant wrinkles where it touches the veneer. The advantage of laminating in a vacuum press is that the process creates an even atmospheric pressure over the glue up, making for a consistent strong assembly. Head to our Instagram page to see more videos and photos of Jim’s wood bending demonstrations. Click here. Shortlisted for the 2017 Wood Awards! We are thrilled to announce that student Damian Robinson's Hex Cabinet has been shortlisted for the 2017 Wood Awards! The Hex Cabinet was Damian's final project during his course at Williams and Cleal. The inspiration for the Hex Drinks Cabinet comes from the colour and uniformity of bees’ nest found in the Damian's garden. Hand cut veneers in contrasting timbers and grain patterns were used for the honeycomb. Damian laid the veneer hexagons out in sequence while referring to the actual nest. The edges of the doors were designed to meet in a line that followed the interlinking hexagons. The inset brass levers devised to open the doors were made in the same size of the hexagons to mesh seamlessly with the overall design. English bog oak, dating from 3,300BC, was selected to set off the complex honeycomb pattern without interference. You can read more about the 2017 Wood Awards Shortlist here. 2017 Somerset Guild of Craftsmen Furniture Prize! We are pleased to announce that student Alistair Buchan received second prize for his Jurassic inspired table in this years Somerset Guild Furniture Exhibition. The table was made in English Oak and sandblasted to give a weathered appearance. Patinated Bronze Supporting Fins were used to support the table segments and it was a great exercise in solid wood construction. In the exhibitions 'People's Choice award' we are also thrilled that Williams and Cleal students received the most votes, Alistair for his table. Alberto for his 'La Negra' chair and Laura for her folding table. Alberto Perez' stunning La Negra chair was Alberto's first project and the design really challenged and pushed his making skills - with beautiful results. Made in Walnut. Laura Aldrich Blake's retro style drop leaf table with formica surface was made to a brief about batch production, so was made using various jigs so that it could be easily repeated in small numbers. It was a challenging piece to make with tapered cylindrical legs and lots of angles. The photo shows our Lead tutor, James Ralph, accepting awards on behalf of the students. Student Submit Enteries to the Alan Peters Award for Excellence and The Somerset Guild of Craftsman Furniture Prize. Students Submit Enteries to the Alan Peters Award for Excellence, and The Somerset Guild of Craftsman Furniture Prize. We wish student Finn James the best of luck with the entry of his low coffee table in the 2017 Alan Peters Award for Excellence. Finn laminated his table from 10 laters of 5mm flexi-ply and it was veneered in beautiful figured quarter sawn oak. To emphasize the shape the edges were coloured a very light grey. 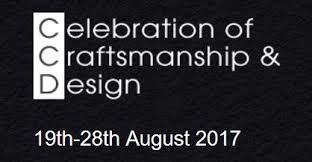 The Alan Peters award is designed to encourage and promote emerging young talent within the bespoke furniture industry. It gives up to three new designer-makers the opportunity to win free exhibition space for their entry at Celebration of Craftsmanship & Design. This allows winners to exhibit and network with established and highly regarded professionals within a selling environment, gaining valuable experience and exposure to a very discerning and knowledgeable audience. 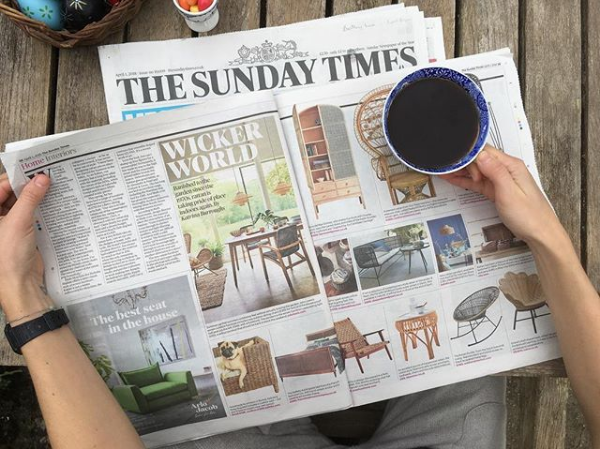 We also wish the very best of luck to students Laura Aldrich Blake, Jan Lennon and Alberto Perez for their entries into the Somerset Guild of Craftsmen Annual Students Furniture Prize. The students all took their furniture to the Wells Exhibition Gallery last week. We eagerly award the judges decision in a few weeks time. We actively encourage our students to enter furniture prizes and to exhibit their work, to get their design style and name out there - to become visible as emerging makers. It is also an important opportunity to network and make contacts, or to generate publicity in starting out your career as a furniture maker. This week we ran a woodcarving day. Demonstrations included routing curves, sanding to a finish, chiseling techniques and finishes. You can view a video compilation of the day's activity here.